Visitation will be Tuesday, January 22, 2019 from Noon until 1:00 and a memorial service to celebrate her life will be held at 1:00 pm., Crippin Funeral Home’s Chapel located at 802 E. Main Street, Montrose CO. In lieu of flowers donations can be made to the American Cancer Society. Ruth E. Workman, surrounded by her loving family was reunited January 16, 2019 with her husband Ken who preceded her in death. 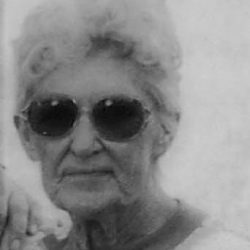 Ruth was a lifetime resident of Olathe, CO. Born to Bert and Wilma (Scott) Cornwell on September 12th, 1932 in Montrose, CO. Ruth married Kenneth Workman on May 29th, 1949. Their love for one another blessed them with four children; Timothy Workman of Montrose, CO, Thomas Workman and wife April of Austin, TX, Teresa Mason of Olathe, CO, and Tammy Workman and husband Tom Dominick of Grand Junction, CO., sixteen grandchildren, fifteen great grandchildren, and one great-great grandchildren. 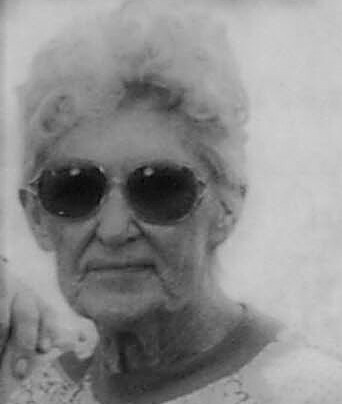 Her fondest moments included, crocheting, embroidery work, camping and fishing, country music, and time spent with her family. She received a certificate of completion for business from the Delta Montrose Vocational College in Delta, CO. She helped to provide for her family by managing the Montrose Salvation Army, and Russell Stover Candies in Montrose, CO.
She was preceded in death by both of her parents Bert and Wilma Cornwell of Olathe, CO.; Nathaniel and Myrtle Workman (by marriage) of Montrose, CO; one grandson, Christopher Warren, of Delta, CO her sisters; Charlotte Decker of Olathe, CO, Raissa Todd of Atlanta, GA, and Carol Fortune of Delta, CO. Sisters by marriage, JoAnn Vaughn and Betty Workman of Montrose, CO and June Workman of Casper, WY, her brothers (by marriage); Donald Workman, Robert Workman, Harry Loss, and Charlie Smith all of Montrose, CO., Avon Decker of Olathe, CO, Jack Kelley of Decatur, GA; and Hugh Todd of Atlanta, GA.
She is survived by sisters, Nelda Smith of Montrose, CO, Helen Kelley of Decatur, GA., Marilyn Workman of Battlement Mesa, CO. Sisters in marriage, Joyce Loss of Montrose, CO and Betty Workman of Grand Junction, CO., Nancy Felix of Olathe. Brother, Richard Cornwell of Olathe, CO, (by marriage,) Tim Workman of Casper, WY and Billy Workman of Grand Junction, CO, and Owen Vaughn of Montrose, CO (all by marriage). Ruth is loved by many and will be missed immensely. Visitation will be Tuesday, January 22, 2019 from Noon until 1:00 and a memorial service to celebrate her life will be held at 1:00 pm., Crippin Funeral Home’s Chapel located at 802 E. Main Street, Montrose CO. In lieu of flowers donations can be made to the American Cancer Society.